Before Terrence Cody was drafted by the Baltimore Ravens in the 2010 NFL Draft, he helped lead Alabama to their undefeated 14-0 season and victory in the 2010 BCS National Championship Game. In 2011, he became a full-time starter for the Ravens and finished the season with 34 tackles. Cody and the Ravens beat the 49ers in 2012's Super Bowl XLVII, also known as the "Blackout Bowl". 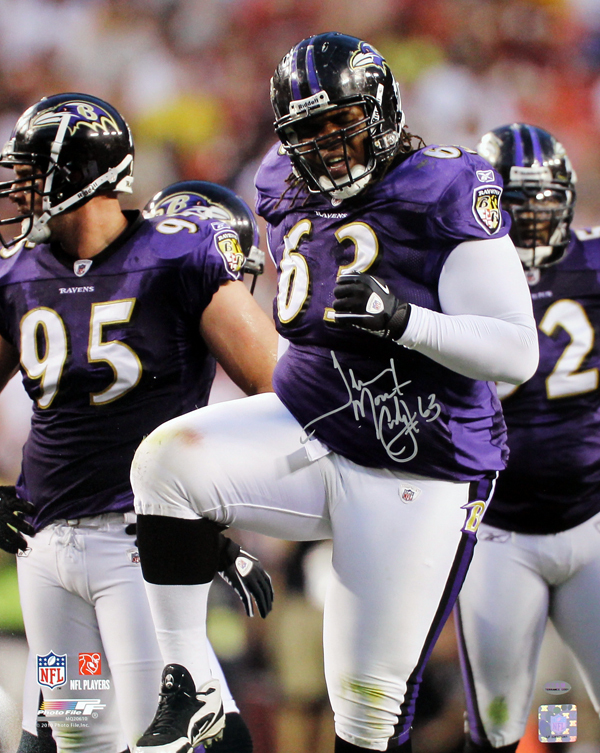 Terrence Cody has hand signed this Baltimore Ravens 16x20 photo. Each autograph is guaranteed authentic, and includes authentication from TRISTAR.